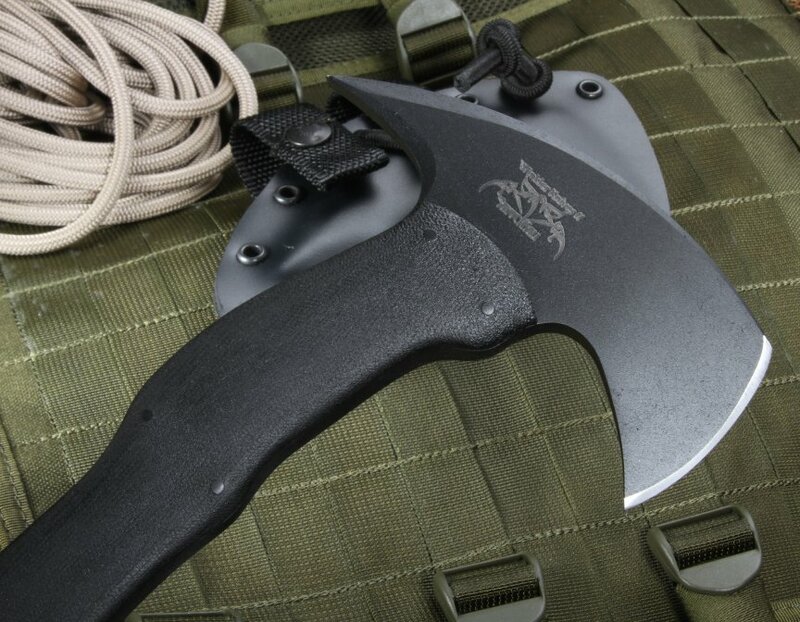 The Winkler Knives II Sayoc RnD Axe just looks cool. 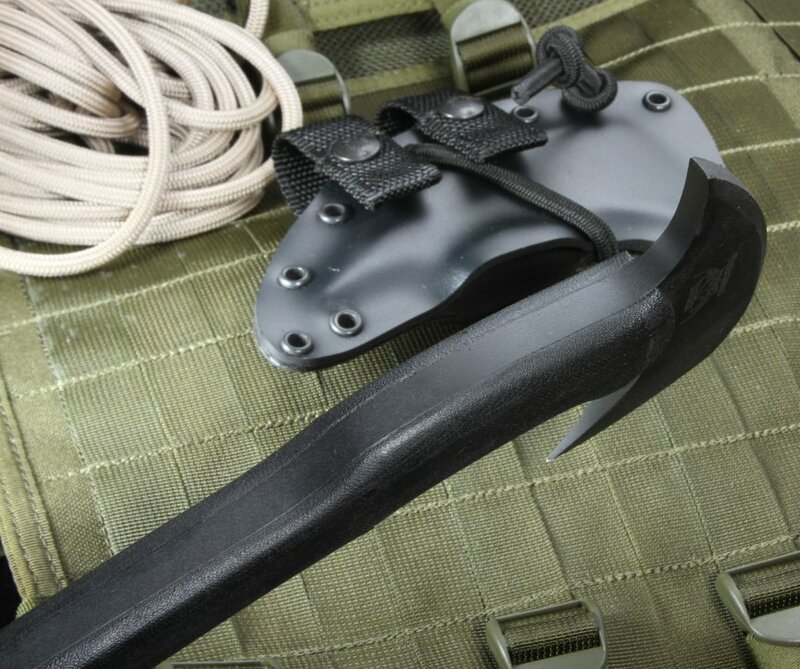 As tactical tomahawks go, there is a razor sharp axe head, a back spike, and a handle, but that's about as similar to the original hand axes and tomahawks of yesteryear that it gets with this. 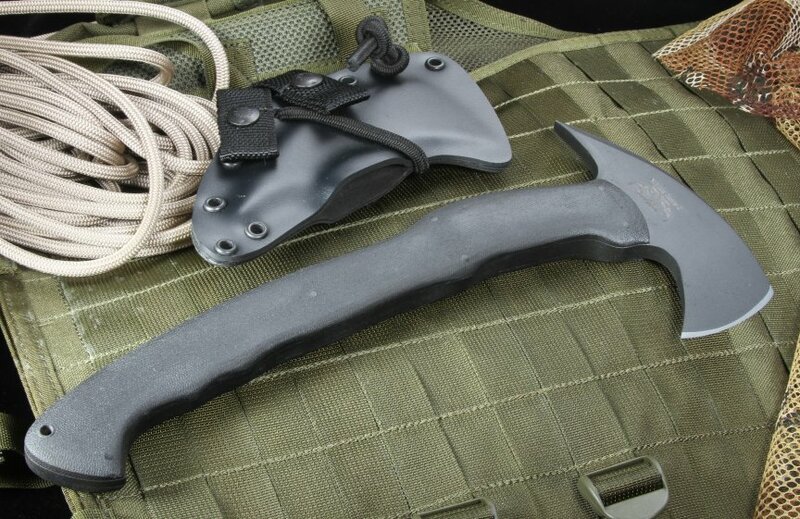 Looking more like something in a masked vigilante's arsenal of gadgets and tactical gear, this axe is 13" of no-nonsense utility, for your tac-vest, or backpack. Designed with SOCOM functionality in mind, the micarta handle provides an even, balanced grip in nearly all conditions. The 80CRV2 carbon steel blade with black Caswell finish is unassuming, yet striking all at once. A 2.25" cutting surface on one end of the 5.5" head means no frills and a total dedication to design and function that set this axe apart from other tactical tomahawks. 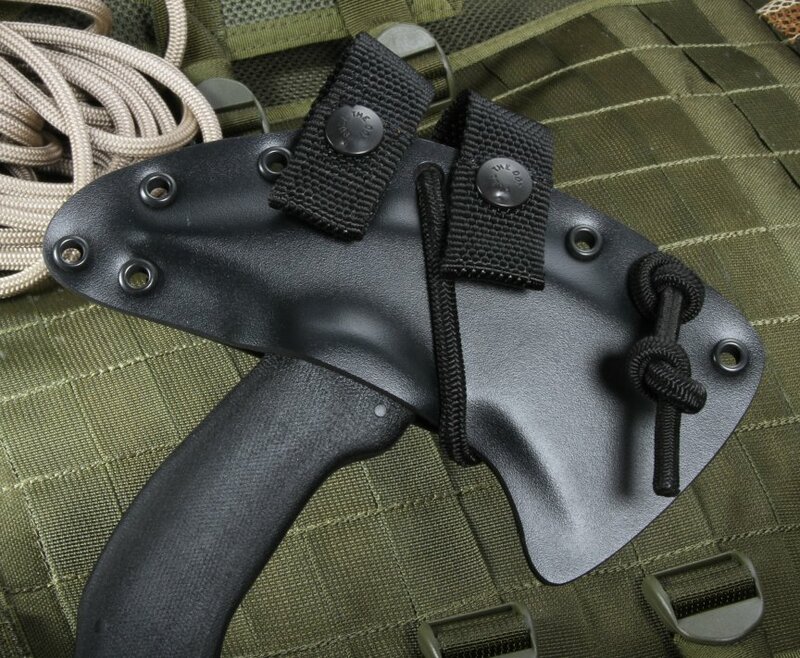 The kydex sheath offers versatility in keeping it wherever you need it. Whether you are a member of an elite military unit, or tracking down a supervillain and his henchmen, this is the axe you need in your utility belt.